Ben and Bella are the names of the characters of an app which is played on the iPad & iPhone, developed for children. Due to its popularity we have recently come up with the Android version to encourage fans to download the same. One of our very own first in-house app, developed for kids. Children improve their command over language, alongwith fun. Our teams’ idea behind this app was to create an educative impact while children were engrossed playing the game. The app includes features such as counting the number of animals, identifying colours, learning the different sounds of animals, matching the right pairs and so on. An absolutely educative app creating the required impact on kids, where fun and learning go hand in hand. At the end of the game, the user could be prompted with the possibility to obtain a certificate and thereby be directed to an online shop option. The certificate will be particularly displaying a score which will display an advertisement which in turn recommends a certain product according to the child's score. The app is a certain success, as it is one of the most appropriate ways to get the attention of children into learning. 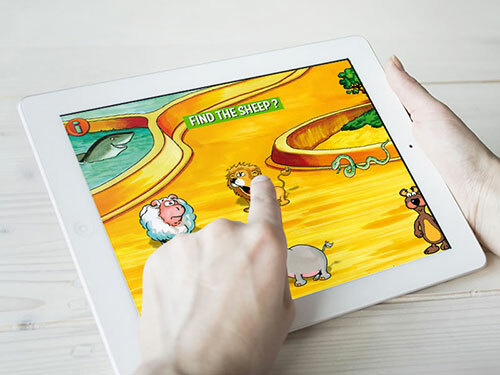 The whole idea is to build an easy to understand and entertaining app for children.